18/10/2009 - Season finale on the podium for Lucidi Motors at Monza thanks to the second place of Sergio Campana in race two. 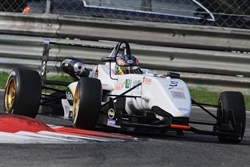 The driver from Modena, three-times winner this year (Mugello, Misano and Vallelunga) and author of one pole position (Mugello), concluded in the fourth place of the final classification at 152 point and second in the rookies' classification. The difference was made by the incidents in which he has been flawlessly involved in the middle part of the season that made him lose the chance of getting important points for the title fight. 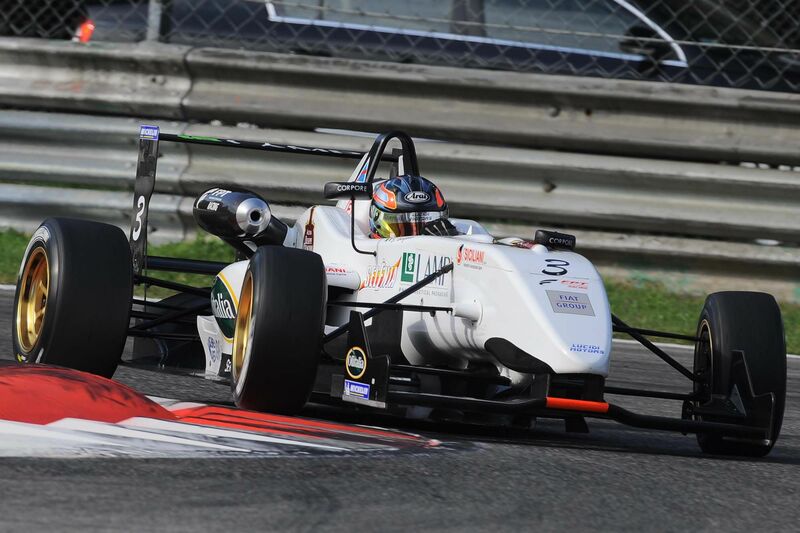 Francesco Prandi, thanks to two eighth places harvested this weekend, concluded the season in eleventh position with 22 points, while Edoardo Liberati could not take part to the second race due to the damages reported by his Dallara in an accident in the first race. The exiting champion of Formula Azzurra obtained anyway the fourth place in the rookies' classification. "A fourth and second place would normally constitute a positive outcome for a racing weekend, unfortunately these results were not enough for Campana to be within the first three in the final classification. After qualifying, Sergio suffered a partial power loss that prevented him from pushing as he would have wanted and this certainly influenced his performance. A positive note came from Prandi, who scored points in both the races, while the single seater of Libearti, after the incident in race one, was too compromised to be fixed on time for race two. My most sincere compliments go to Daniel Zampieri and to the Team BVM for the title obtained with merit throughout the season".